Famous for being the birthplace of many bandits, Orgosolo is now known and appreciated for its many murals that enrich of history and culture the old town. Political Italian activities in the 60s and70s and also the political corruption scandals of the last 20s. In each corner, you can find images of Native Americans, African women and Argentine’s mothers, great injustices that refer to the old and new humanity. And still images recalling tragedies happened in factories and squares of the world. 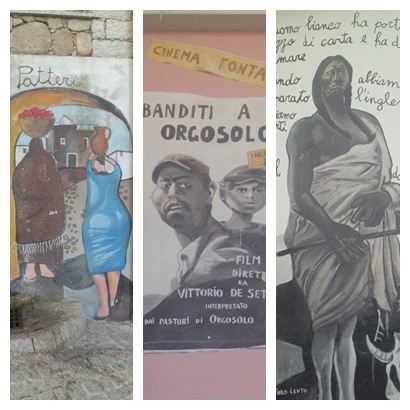 The village’s walls show you scenes of everyday life revealing to the visitor some unknown aspects of Sardinia’s traditional culture. We close our tour visiting the suggestive craft shop of the silkworm cocoon processing. You’ll be surprised and fascinated. You will be surprised and fascinated!